You have a vision for where you want your company or nonprofit to go—or, at least, you have some exciting ideas. And you know that, in the 21st century, the internet is a big part of how you get there. But there are still a lot more questions. Can you answer these? Who do want to reach on the Internet? Why? What do you want them to do? Are they searching for what you provide? What can you offer that sets you apart from the competition? Where can you find these people online? What’s the most important call to action on your website? Is it clear? Are people doing it? Is it important to you to build an email list? At JB Media, we offer a wide range of Internet marketing services, including SEO, content marketing, social media, advertising, PR, and education. But, we always start with strategy—so we can know how to help you achieve your vision. Our mission is to help you achieve your goals—and we offer flexible options to make that possible. We’re a full-service digital marketing agency with an exceptional team that can handle content writing, email outreach, social media management, online advertising and much more. 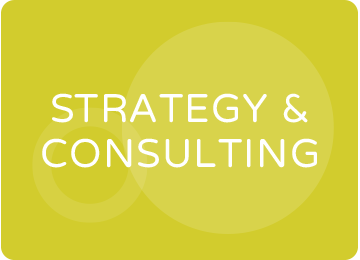 We also work with clients on a high-level consulting basis, providing direction as you prepare for success. If you want do your marketing in-house, we offer training and education to help. We can advise you on hiring decisions as you build your staff capacity. We can also work collaboratively with your team, implementing core strategy elements while empowering you to do the rest. We pride ourselves in being transparent throughout this process and delivering actionable advice that aligns with our clients’ resources and goals. Our unique combination of in-depth knowledge and real world experience allows us to inform a wide range of digital marketing and related initiatives. We take pride in the extensive thought leadership of our team, including our Director of Strategy, Justin Belleme. In addition to our knowledge of the digital marketing industry, our team members hold a total of 5 Masters Degrees and bring deep experience in business strategy and development, social enterprise marketing, nonprofit communications, web development, and branding. We offer strategy overviews that evaluate a range of options across digital marketing channels and recommend priorities for action. We also offer hourly consulting with clients seeking advice on their digital marketing direction. Our SEO department provides data-driven strategy deliverables including website audits, keyword research, site architecture plans, site migration consulting, competition assessments, and content strategies. We evaluate the potential of various social media platforms to achieve your goals, through both organic reach and paid advertising. More importantly, we provide actionable recommendations to fulfill that potential. We design AdWords campaigns that match your goals and your budget. We also develop advertising strategies for social media platforms including Facebook, Instagram, Twitter, Pinterest, and LinkedIn. We’ll work with your team to develop a content marketing plan that supports your goals across multiple digital channels—including website engagement and conversions, SEO, list building, social media, email marketing, and PR. To sell your products successfully online, you need smart tools and industry know-how. We draw on our extensive experience with e-commerce clients to create a strategy specific to your products, business model, and customers.